2011. The 1959 Cuban Revolution was a nationalist and a socialist revolution. In both cases it was only partially successful. (Article: Estudos Avançados). 2010. On the opportunity of the 100 years of the Soviet Revolution, I include in the first page of this site this paper. In argues that the socialist revolution turned first statist, and, second, capitalist. (Paper: Revista USP). 2007. 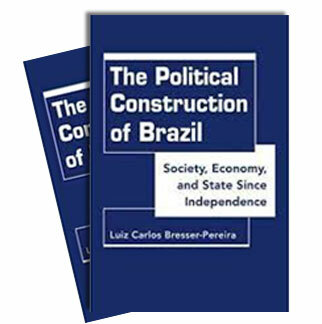 The Brazilian state bureaucracy was part of the ruling class in association with the industrial bourgeoisie between the 1930s and the 1980s. English version available. (Paper: Revista de Sociologia e Política (Univ.Paraná). O que é a tecnoburocracia? 2004. The rise of the professional middle class, knowledge as the new strategic factor of production, and the implications for democracy. The correspondent concept of capital.Portuguese version available. (Paper in book honoring J. K. Galbraith). 2001. The global world remains capitalist, but the key actors are not anymore capitalists but technobureaucrats. (ABCP/UFMG Boletim de Conjuntura, September 2001). Technobureaucracy, Globalization, Capitalism. 1981. 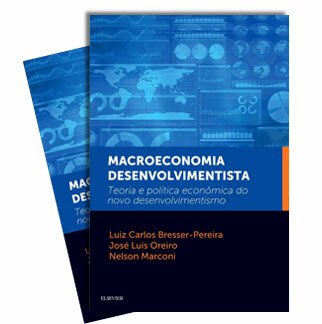 Luiz Antonio de Oliveira Lima and Luiz Gonzaga Belluzzo criticize the essay "Notas Introdutórias ao Modo Tecnoburocrático ou Estatal da Produção". See my response, "Lições do aprendiz de feiticeiro". 1977. The transition to democracy and, gradually, to socialism predicted on the basis of the rupture of the alliance of the bourgeoisie with the military technobureaucracy. (Paper: Contexto). 1972. Three essays: the student revolution, the political revolution in the Catholic Church, particularly in Latin America, and the world emergence of the new professional middle class. (Book: Editora Vozes). 1972. A new social class - technobureaucracy or the new middle class - emerged in capitalist societies. (Essay) Escaneado from the book, Tecnoburocracia e Contestação). 1962. A new salaried middle class is emerging in Brazil as a consequence of the Industrial Revolution that began in 1930. The Portuguese version appeared as Chapter 3 of Desenvolvimento e Crise no Brasil (1968). (Paper: Journal of Inter-American Studies).